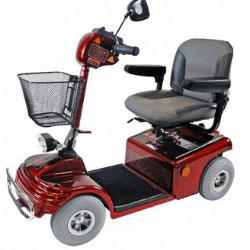 CHEAP MOBILITY SCOOTERS FOR SALE in 2019 - You'll be amazed! In this article we provide you with all the information you need to help you choose the cheapest mobility scooter as well as highlighting the cheapest and best mobility scooters that we can find. These scooters can be used by able bodied people or those that are looking for a disability scooter for sale to help get around. A mobility scooter can provide much-needed freedom, ease and independence for elderly or disabled individuals. Yet choosing a mobility scooter can often be a confusing and complicated task. If you are specifically looking for a fold up mobility scooter you can find them here. 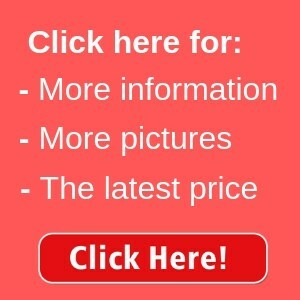 Also if you are looking for an electric mobility scooter for sale that is cheap, then look no further! At UK Care Guide we are passionate about providing clear, comprehensive information for elderly and disabled people in Great Britain and beyond. On this page we explain everything you need to know when considering purchasing a cheap mobility scooter, from eligibility and makes and models to maintenance and accessories, including information on purchasing mobility scooter ramps. How much are mobility scooters? The prices for mobility scooters can vary from around £450 at the cheapest up to over £2,500 for the most expensive. Many of those between the £450 – £700 mark will give you all you need whilst scooter prices at the top end tend to give you scooters that have a lot more bells and whistles. You can see some of the different types of scooters below. We have had a look and found what we think the best cheap mobility scooters for sale are, including disability scooters. You can find our suggestions, and why, below. Maximum range of 6 miles on full battery charge. Top speed of 4 mph. Comfortable and lightweight. On board and in-house charging as standard. Height adjustable 360° swivel seat. Adjustable angle tiller. Mobility scooter cheap. Removable 12ah battery pack. Useful storage basket on the front. 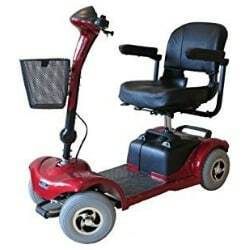 Well rated disability boot scooter with many users praising its versatility. Modular design means that it is easy to service. Also a cheap mobility scooter for sale. 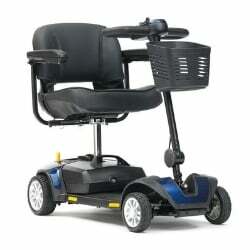 This is the Deluxe LX version of the GOGO boot scooter and suitable for the disabled. Enhancements compared to the basic GOGO model include: Suspension seat, Wrap around Delta tiller, Kerb light on the front, Larger basket, High level charging port on the tiller. Range of 8 miles on a full battery charge with a removable battery pack. Height adjustable 360° swivel seat. Adjustable angle tiller. Solid puncture proof tyres. Useful storage basket on the front. Maximum range of 8 miles on full battery charge. Top speed of 4 mph. Height adjustable 360° swivel seat. Adjustable angle tiller. Solid puncture proof tyres. What type of person is a cheap mobility scooter appropriate for? Mobility boot scooters can be handy or essential forms of transportation for individuals with a wide range of needs and mobility scooter bags help you easily carry your stuff. These small motorised vehicles are suitable for use in a wide variety of environments and scenarios – from popping down to the shops to making your way around a museum or town centre. Many different types of people invest in mobility scooters. Some are permanently disabled and are in need of a wheelchair at all times, whilst others have limited mobility due to old age. Your motivation for purchasing a mobility scooter is very important – as this plays a key role in the type of model you choose. How do mobility scooters work? Mobility scooters generally run on electricity, powered either by an internal mobility scooter battery charger or motor. They are simple vehicles with very few moving parts – therefore they require little maintenance and are easy to operate. Usually you can stop, move, reverse and steer your mobility scooter using your hands and a simple dashboard of controls. Mobility scooters are primarily designed for use on footpaths and therefore they have a very low top speed (normally under 5mph). You can find out more about mobility scooter batteries here, as these power the scooters. Choosing a mobility scooter can feel overwhelming at first, because there are so many different makes and models available. Yet just like buying a car, there are different types that vary depending on requirement and budget. It’s useful to use this comparison, as it’s one that is familiar to many people. 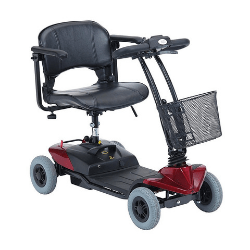 So when searching for a mobility scooter, you first need to consider your budget as well as personal and medical criteria before matching them up with the specifications of the models you’re considering. Some models promise to be nippy, others say they are the most reliable, others are designed for comfort and ease. Here is a great video giving you some buying tips when buying a scooter. Do I need my scooter to be portable? – Some models can be broken down and easily transported in a car boot. Is it easy to use? – It’s really important that you are able to clearly understand the controls and easily operate your scooter. Is the scooter the right size for me? – If your scooter is too large or too small for you it can be problematic and difficult to use. Can the scooter be driven on a pavement? – If you plan to predominantly drive your scooter on a pavement you’ll need to make sure that it is small enough and appropriate for this use. Can the scooter be used on a road? – If you’ll be using your scooter on a road occasionally or need it to be road worthy you will need to purchase a special type of scooter that it suitable and legal for road use. Is this a reliable, high quality model? – Although it’s tempting to go with your favourite, make sure that this model is reliable by going online and checking out reviews, or asking other mobility scooter users for recommendations. Is this scooter within my budget? – Budget is really important. 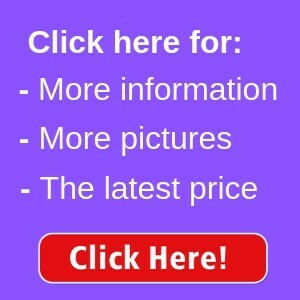 Set a budget and try to stick to it, purchasing the best value scooter possible in line with your requirements. You will be able to find the cheapest mobility scooters on sale in the UK below. Your weight may also dictate the model of mobility scooter you can purchase. Normally there are different sizes to choose from, all with maximum payloads (the amount of weight they can bear). As above, only certain mobility scooters are suitable for use on the road – if this is a concern for you, then you’ll need to make sure that you purchase a scooter that is certified for road use. 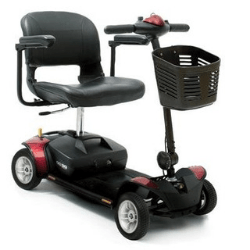 Mobility Scooters Cheap – where can I get one? There is now a huge industry dedicated to producing and marketing mobility scooters – and each manufacturer has pros and cons. In general you can expect to pay between £400 and £5,000 for a mobility scooter. Some companies offer payment plans that enable you to spread the cost of your mobility scooter with or without interest over an extended period of time. You may also be eligible for financial support, or could use benefits towards the cost of your mobility scooter. If your budget is fairly low, it may be worth considering purchasing a second hand or reconditioned mobility scooter when you are looking for a cheap mobility scooter. 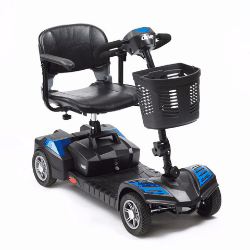 These can be purchased from reputable mobility shops or directly from the manufacturers themselves, and they’re a great option for individuals who will only need a mobility scooter for a limited period of time, or can’t afford to buy a new model. Bear in mind that just because a mobility scooter is expensive, that doesn’t mean that it will be a perfect fit for you. Remember when purchasing a mobility scooter to consider both your budget and your individual requirements as it may not always be the best thing to do to buy a cheap mobility scooter. How much do mobility scooters cost to run? Mobility scooters can be expensive to buy, but after the initial purchase they are incredibly cheap to run. It will cost around 10p to charge the mobility scooter battery overnight. 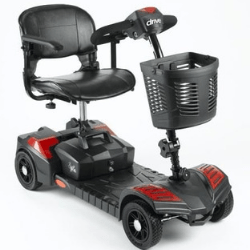 There are other costs associated – such as maintenance, mobility scooter accessories and replacement batteries. You can find details of these below. Insurance isn’t a necessary requirement, but if you need peace of mind you can take out public liability cover to protect you in case you have an accident or mishap. Are there any laws or regulations I need to observe relating to my mobility scooter? Yes. Mobility scooters are subject to a specific set of rules, which are set out in a special Highway Code. You don’t need to possess a driving license or take a test to operate a mobility scooter, but if you have never driven before your dealer should take time to familiarise you with the scooter before you head out on your own. You may also like to practice in a safe, private place with a family member or friend for support and assistance before your first trip independently. Class 3 mobility scooters must be registered with the DVLA – but others are not subject to registration. The dealer you purchase your mobility scooter from should take care of this on your behalf. Safety is very important – and although most mobility scooters don’t have the ability to go very fast, they can still be dangerous, especially for pedestrians and users who already suffer from a range of health issues. By law you must not go faster than 4mph on a pavement, and must always be mindful and aware of any pedestrians around you, who will have right of way. Mobility scooters may still be subject to parking regulations – so be sure to check before you park your scooter on a pavement, on the road or in a parking space. To protect against theft use the scooter’s in-built security features and always leave it in a safe place. Be vigilant at all times. Some mobility scooters can be driven on the road – but only those with full lights, mirrors and indicators. Mobility scooters are not permitted to be driven on motorways or dual carriageways. 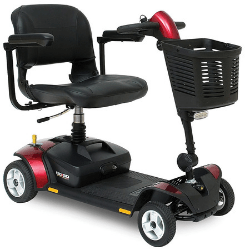 What type of maintenance is needed for a mobility scooter? Just like a car, your mobility scooter will need a full service every now and then to ensure that it is working properly. A fair price for a mobility scooter service is anywhere between £60 and £90, including transport and travel and any repair work that may need to be undertaken. Make sure that you choose a reputable service provider to avoid being ripped off. It should also be a company who understands your needs – for example if your scooter breaks down and is in need of emergency repair work, they should be able to give you a solid timescale for the job or provide a replacement and transport in the interim. Some mobility scooter companies include a warranty or regular service as standard for their customers. It’s also advisable to regularly clean your mobility scooter, or ask a family member or friend to do so for you. Keeping grime, dust and dirt at bay will increase the lifespan of your mobility scooter considerably. Looking for the CHEAPEST mobility scooter? Click the "cheap" logo below to find information on the cheapest mobility scooter's that you can buy today. Looking for the BEST mobility scooter on the internet? Click the "best price" logo below to find information on the best rated mobility scooter's that you can buy today.